3.Add all wet ingredients & thoroughly combine. 4.Cook in waffle maker and keep warm in oven till ready to serve. 1. Use rice flour, millet flour or any other flour mix instead of the all purpose flour mix. I recommend keeping the tapioca flour though. It gives the waffles a bit of a chewy texture. 3. 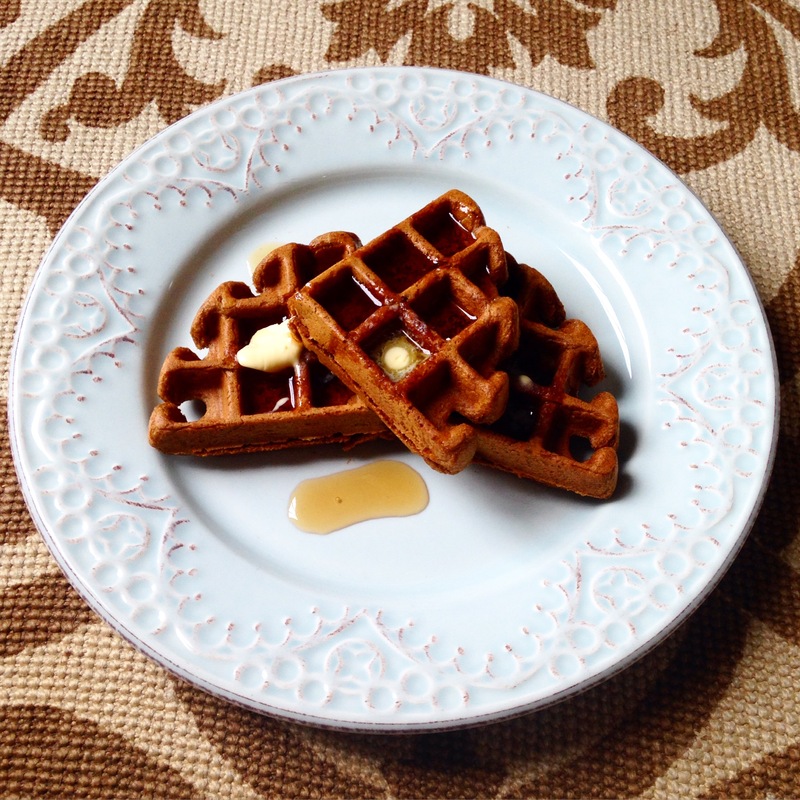 Almond butter, agave nectar, cinnamon, bananas & blueberries all make for a great topping alternative on these waffles.